Roulette is one of the most popular casino games available at an internet casino, offering excitement and fun, as well as a wide range of variations. It has a long and colourful history, with spinning games being traced all the way back to the Greco-Roman period. The game that we know has evolved significantly since that time and offers a range of betting options. Playing roulette online ensures a number of advantages, primarily the convenience of being able to play at home. In addition, players will have access to a number of variations all in one convenient location that can be accessed at any time of the day or night. 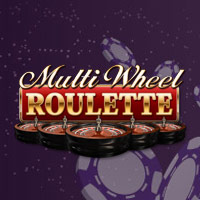 The rules are simple and as it is a game of luck, online roulette appeals to a wide audience and all sorts of players. The first spinning games can be traced back to the Greco-Roman period when Roman soldiers spun their chariot wheels on points and Greek soldiers spun their shields on metal points for gambling games. While these games may be the inspiration for spinning games, the game that we know as roulette probably originated from a 17th century Italian game called Hoca. The game was played on a circular table 40 cups around the perimeter. A ball was let loose in the centre of the table and moved around the table until it landed in one of the cups. Another game from the time, the English game of Even-Odd (E-O) also had similar characteristics to the game we know as roulette. 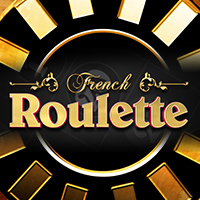 Modern day French roulette was played already in the late 18th century and American roulette was developed around that time when it was brought over by French immigrants. The biggest change to roulette came with the introduction of online casinos. Players could now enjoy the game from the comfort of their own homes at any time of the day or night. 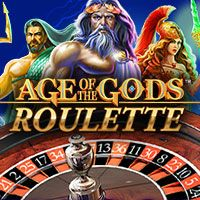 You no longer needed to stand around a physical roulette wheel and table and be limited by the games available in the casino and the hours of the casino’s operation. 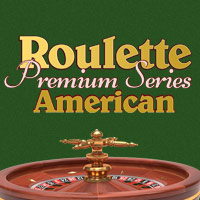 Roulette online has grown in popularity and accessibility. Split bet has odds of 17.5:1 and a payout of 17:1. Street bet has odds of 11.33:1 and a payout of 11:1. Corner bet has odds of 8.25:1 and a payout of 8:1. Double street bet has odds of 6:1 and a payout of 5:1. Dozen bet has odds of 2.08:1 and a payout of 2:1. Column bet has odds of 2.08:1 and a payout of 2:1. Red or black bets have odds of 1.01:1 and a payout of 1:1. Odd or even bets have odds of 1.01:1 and a payout of 1:1. High or low bets have odds of 1.01:1 and a payout of 1:1. The rules of online roulette are straightforward, making it appealing to all players. The aim of the game is to bet on the number of group of numbers that the little white ball will land on in the spinning wheel when it comes to rest. Players begin the game by placing their bet. There are ten standard bets in the game, with some of the variations offering additional bets. The bets include five inside bets and five outside bets. Inside bets are placed on the inner section of the roulette table, on or around the numbers you are betting on. Outside bets are placed on the outer section of the table on the section marking the groups of numbers. Straight bet – A bet on one number, it is placed in the centre of the number on the table. Split bet – A bet on two adjacent numbers, it is placed on the line connecting the numbers on the table. 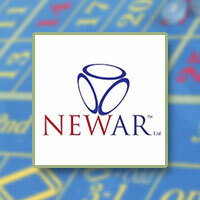 Row bet – Also known as a street bet, it is a bet on three numbers in a row and is placed at the end of the row. Six-line bet – Also known as a double street bet, it is a bet on two adjacent rows of six numbers and is placed on the connecting line between the rows. Corner bet – Also known as a square bet, it is a bet on a corner of four numbers and is placed at the join of the numbers. Red or black bet – A bet on the colour of the number, it is placed on the red or black diamond. Odd or even bet – The bet is placed on the section marked “odd” or “even”. High or low bet – A bet that the number will be low (1-18) or high (19-36). Dozen bet – A bet on the number being one of a dozen numbers, it is placed on the section marked “1st 12”, “2nd 12” or “3rd 12”. Column bet – A bet on a column of 12 numbers, it is placed on the end of the column. Once the bet has been placed, click on the “Spin” button to release the ball into the spinning wheel. Wait for it to come to rest and you will be paid out for any wins. 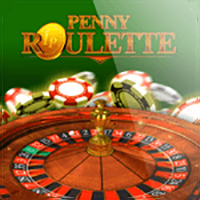 Penny Roulette: This roulette variation offers the chance to play low stakes but have the opportunity to win big payouts. Bets start at just one penny. 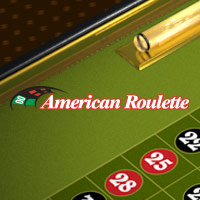 American Roulette: This variation has 38 numbered slots with the numbers 1 – 36, a single 0 and a double 0. It offers eleven bets – the same bets as in European roulette with the addition of the five-number bet that utilises the 00. The game has odds of 5.26%. 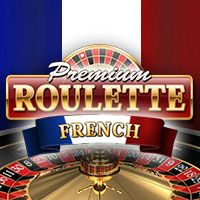 French roulette: French roulette offers 37 numbered slots with the numbers 1 – 36 and a single 0. It offers five inside bets and five outside bets identical to those in European roulette, but also offers an additional racetrack with call bets. The game is marked entirely in French. 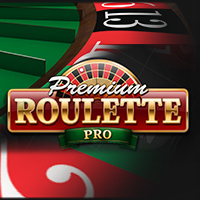 Premium roulette games: Premium roulette games were created to offer a superior gaming experience. 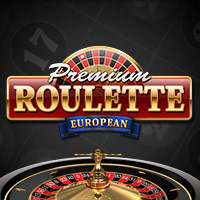 These games include premium European roulette, premium American roulette, premium French roulette and premium roulette pro. Mini Roulette: Unique to online casino play, mini roulette is a game with 13 numbered slots – the numbers 1 – 12 and a single 0. 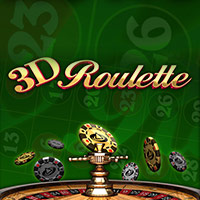 3D Roulette: This is another roulette game unique to online play. 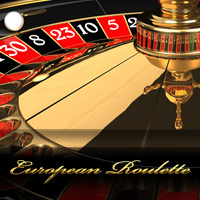 Played with European roulette rules, it offers a graphically-rich 3 dimensional view of the table and wheel. There are a number of buttons in a game of online roulette and understanding how the game works and can be played will improve your gaming experience. Clear Bets: Clear all bets from the table. Rebet: Bet again with the same amount as last game. Spin: Start the wheel turning. To improve your gameplay, it is recommended to understand the terms used in the game. Call Bets: A set of special bets available in French roulette. Column Bet: A bet on the 12 numbers that make up a column. Corner Bet: A bet on the four numbers that make a corner. Double Zero: The 00 that is found in a game of American roulette. Dozen Bet: A bet on one of three groups of 12 numbers. Even Money Bets: Bets that pay out 1:1. These include red or black bets, odd or even bets and high or low bets. Five Number Bet: Unique to American roulette, it is a bet on the five numbers 00, 0, 1, 2, 3. High or Low Bet: A bet on the ball landing on a high number (19-36) or a low number (1-18). Inside Bet: A bet on the groups of numbers that are found on the inner section of the roulette table. These include straight bets, split bets, corner bets, street bets and double street bets. Outside Bet: A bet on the groups of numbers that are found on the outer section of the roulette table. These include column bets, dozen bets, red or black bets, high or low bets and odd or even bets. Racetrack: A section of the roulette table that includes call bets, such as in French roulette. Split Bet: A bet on the two numbers that are found next to each other on the table. Straight Bet: A bet on one number. Fill in the online form. You will need to supply personal information and contact information. Choose your currency as GBP at this point. Go to the cashier to fund your account. Choose from the many secure banking methods available. Follow the steps and confirm your deposit amount. Your financial information will be protected via data encryption technology. Claim your bonus. Mansion Casino UK offers a GBP £200 bonus. Go to the casino lobby and choose your game from the roulette games suite.